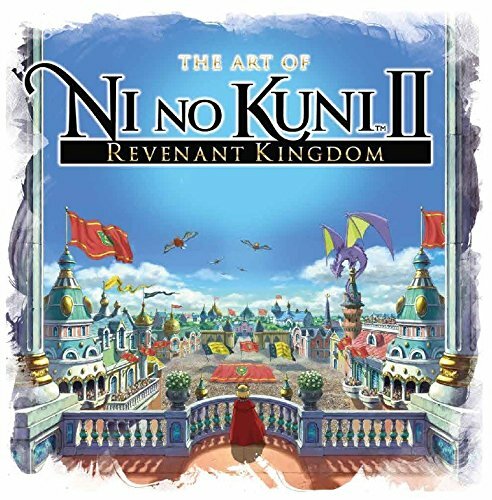 This is a delightful companion video game artbook for the sequel of Ni no Kuni. I like games that use anime and manga style drawings so I really enjoyed this book. That's what I like about Japanese art because they have more variety. There are many beautiful hand drawn sketches to see in this 152-page hardcover. The pencil and watercolour sketches included reminds me of watercolour concept art of Hayao Miyazaki's films and Katsuya Kondo's art. I can't tell if the artworks are all drawn by animator Yoshiyuki Momose because there's just so many pieces of art. The book has art for the characters, enemies, creatures and environment. I guess the only downside is there isn't any text to talk about that art. This is just an art-only art book, and it's a great one. Highly recommended to fans of the game or those who like this style of art.